Sydney Banks was an ordinary man who had a revelation in the 70’s that brought insights and realisations of how we all use Mind, Thought & Consciousness, he found an understanding that freed him from his o wn insecure mind. Sydney was able to share his understanding of how we work as human beings with Psychiatrists, Psychologists, he did not have a background in mental health nor personal development and they changed their practices and their clients mental health returned to normal. The Mayo Clinic ranked number 1 in the states has adopted the teachings of Sydney Banks for patients & staff. Sydney shared his insights & realisations with others and people been to see their own internal worlds differently not because they had to do anything differently, because they gained an awareness of how the Three Principles work. 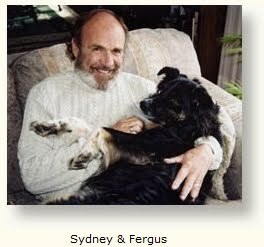 People began to travel from across the globe to speak with Sydney and they also began to have their own individual insights & realisations, so profound were their insights they also began to share their experiences with others and life changed for so many people especially in the mental health profession. The Three Principles of Mind, Thought & Consciousness points us in the direction of our own innate intelligence to the wisdom that we all possess, it points us to the feeling that is naturally ours from birth before we innocently intellectualised beliefs as we were growing up and moving our way through life. I have as a Coach, Counsellor, Facilitator & Trainer been sharing the Three Principles of Mind, Thought & Consciousness and I have been humbled by the insights & realisations that I have personally experienced and I am so grateful to be able to part of the experience as others have their own insights and realisations. “Thought is the master key. I have witnessed people labelled with mental health diagnosis reclaim their minds and are no longer suffering with a condition that professionals said would last a lifetime. My Mum had suffered with depression for a life time, after having awareness of the Three Principles she completely regained her mental health and is happy again. The truth of the matter is that it only takes one insight for everything in our inner worlds to change. Imagine having a conversation with someone and then having an insight or a realisation that sets them free from the ‘thoughts’ that have tortured them for so long. Imagine realising that you are not broken because you’ve finally understood something differently and realising that so many people have innocently misunderstood how we really work.